The history of Bayonet Golf Course dates back to 1917 when the U.S. Army purchased the land in order to created a training facility named Fort Ord in honor of General Edward Otho Cresap Ord, who was a famed Civil War Veteran. It was not until 1954 that Bayonet Golf Course was designed by General Robert McClure, the Commanding Officer of the post at that time. Bayonet was named after the 7th Infantry "Light Fighter" Division, which was often referred to as the "Bayonet Division." General McClure was left-handed and rumor has it that he designed the course to match his game to effectively reduce his handicap. Holes #11 through #15 are commonly known as "Combat Corner," which requires golfers to deal with five blind dogleg fairways in a row. Previously owned by the U.S. military, this course was opened up to the general public in 1994. This superbly manicured layout features long, cypress tree lined fairways with fast undulating greens, many of which are multi-tiered. 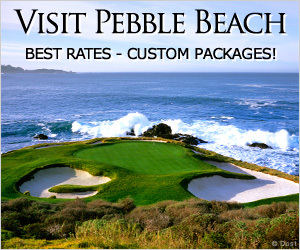 Beautiful views of the Monterey Bay are located throughout this course. Bayonet Golf Course is a PGA tour qualification venue and is regularly touted as one of the toughest courses in California with a slope of 141 and a rating of 74.8. 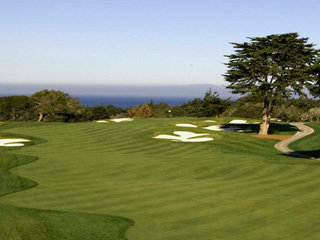 Destinations Magazine rated Bayonet as the 13th most challenging golf courses in the State of California. Golf Digest rated this course #71 under the category of "America's Top 75 Affordable Courses" in their list of "America's Best Golf Courses Everyone Can Play." Bayonet is one half of the 36 hole facility which includes Black Horse Golf Course.